Do you ever feel intimidate by recipes with “fancy” titles? I know I do! Quiche was one of those recipes for me. It sounded like a delicious meal but something I’d only ever eat in a restaurant. Surely something so tasty would be difficult to make, right? Wrong! Quiche is surprisingly easy to make and the filling possibilities are endless! This past weekend I made a sausage and mushroom quiche for my family and it was a huge hit. Still not convinced that you can tackle this recipe? Here’s a great video from Eggs.ca walking you through the steps. You can pile the vegetables high in this dish and it makes a healthy meal for breakfast, lunch or supper. 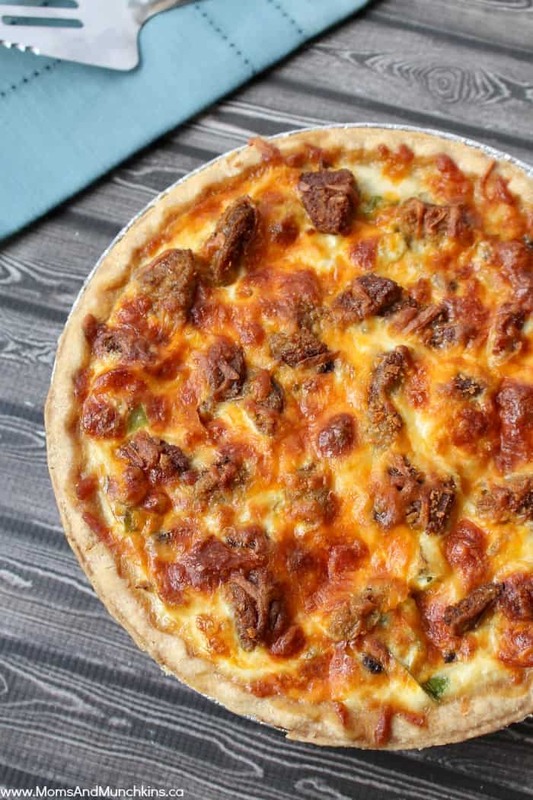 Sprinkle cooked sausages, ¾ cup of cheese, mushrooms, green pepper and onion on the bottom of the pie shell. Whisk together eggs, milk salt and pepper until smooth. Carefully pour the egg mixture into the pie shell. Bake 40-45 minutes or until the top turns a golden brown. Insert knife into the centre of the quiche and if it comes out clean it is done. 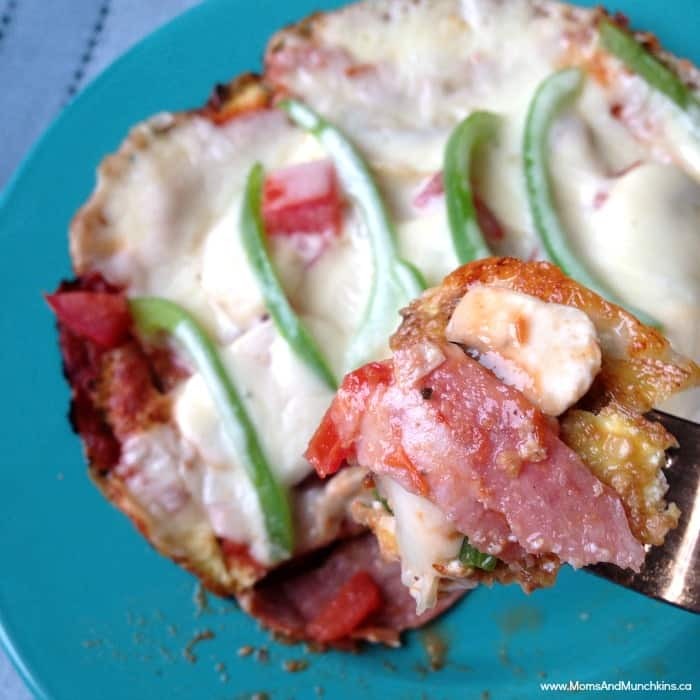 Have you tried the Pizza Frittata that I highlighted last month? Remember – eggs aren’t just for breakfast! They have 14 important nutrients such as vitamin D, vitamin A, iron and contain only 70 calories. Need suggestions on what to make for supper? Looking for a holiday brunch recipe that’s sure to impress? Want to know just the right amount of cooking time for a poached egg? Then you’ll want to download the Egg Timer App. 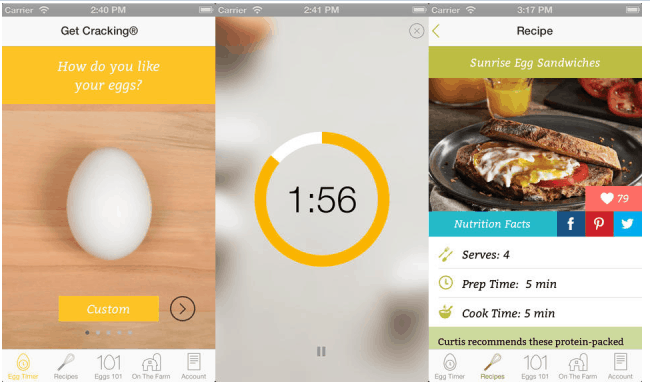 This free app is filled with helpful information and delicious recipe ideas. I would make an egg and tomato shakshuka! I’d make some tasty frittatas! I love savoury egg dishes like quiche and frittata, but I think I’d use the prize pack to make an eggy dessert like bread pudding with Creme Anglaise. I would make the recipe that is posted, Sausage & Mushroom Quiche. I usually use ham but this recipe looks delicious. Eggs are my go to after work meal! Loving egg salad sandwhich’s right now.Quick and easy, what’s not to love!!! I’d make a Christmas morning breakfast hash. Yum! I would try to make the Sausage & Mushroom Quiche. I’ve always wanted to try and make Eggs Benedict. I would make some poached eggs,bacon, french toast and hash browns. I would definitely make poached eggs on toast and some yummy fried bacon or ham.